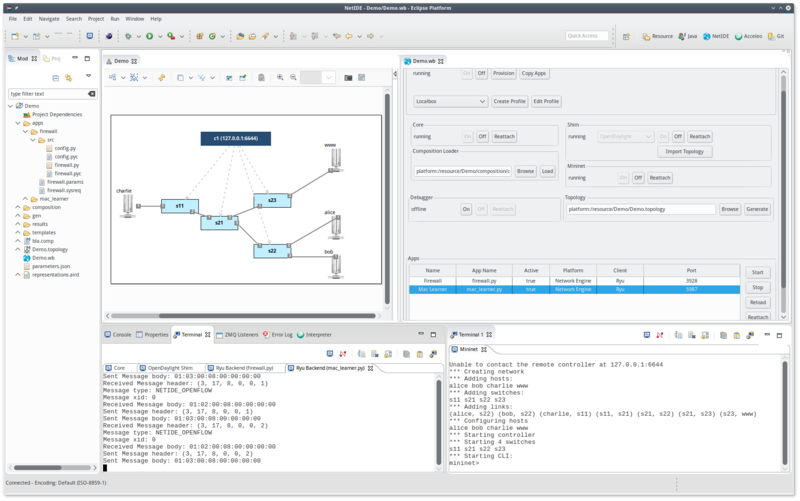 An IDE for the development of SDN-Apps. Featuring network topology modeling and testing apps on virtual simulation environments. You'll find the code and the documentation at https://github.com/fp7-netide/IDE. More about the project NetIDE can be found at http://www.netide.eu. Requires Virtualbox, Vagrant (>v1.6), and an SSH client. By adding the following code below to your website you will be able to add an install button for NetIDE.